1.Each time has its own remarkable imprint which confirms its existence in history. Human beings are in the fast developing and unpredictably changing era. It is the time of outstanding achievements in IT, knowledge-based economy, and of globalization which is considered as an inevitable stage in the history. Beside offering a great deal of favorable opportunities for the development of each nation, there exist considerable challenges keeping pace with the ages. The cross - culture integration creates great opportunities for men to make their own culture more diversified and various. Thus, in such a time, culture in general and arts in particular are more meaningful and powerful in asserting a cultural identity- the existence of a nation. That also means, arts education plays specially important roles for the time beings. 2. Arts education bears in itself broad content as the existent main features of the arts educational concept. Arts born as an inevitable demand of the society, humans’ necessary presence and expression in the surrounding environment. Coming to arts reminds us of P.I. Tchaikovsky- a talented Russian composer’ famous saying:” Where and when languages are powerless, there will generate a more eloquently performing language- that is music”. However, in my opinion, all art forms could be deemed to have been born in such circumstances. In addition, I always doubt that: both languages and arts might have been born at the time of human appearance. Since then, they have existed in correlation and had mutual relations. 3. Every art form is always carried with it the characteristics in terms of expression. That also means: It is necessary to have basic knowledge and certain understanding on a specific kind of art form to understand and to enjoy it. The knowledge on a specific kind of art forms is great and unlimited. Accessing to it may remind us of an old saying " the more we learn, the more knowledge we need to study". However, in a certain extent, it is likely that one can approach to a certain kind of art if (s)he has some basic knowledge. In order to do this, the role of arts education is extremely important. Arts education is a field helping people to have sufficient knowledge to approach to a specific form of arts. In fact, the roles of arts education are highly appreciated, which is not new in the historical development of human society. At accident time, philosophers regarded arts education as one of the most effective ways to educate people to become good ones. Therefore, the process of social development can be seen from different viewpoints on arts education. 4. In recent years, when it comes to arts education, arts educators have focused more on learners at secondary school levels. They consider them as a key area to be able to proceed the educational objectives for the whole society as a slogan goes:"Kids are our future". It is the fact that: arts education at schools plays an important role. But actually, it is necessary to have a all-around assessment because when being out of four-wall classes, children spend most of their time at home and in community. Thus, arts education needs to be diversified in terms of space and the ways of implementing. Besides, we should not regard secondary school learners as the only necessary objects of arts education but it also needs to be for all classes of the society and be seen at a high level. I am convinced that that is the arts education' s subjects. Thus, arts education must be diversified in terms of conducting methods. Arts not only bring comfortable entertainment moments but also give people aesthetic experience in their spirit, nobility and determination to be better in lives. 5. Arts education in Vietnam in the past decades has actually been implemented in only two subjects: music and fine arts. Lessons on these two subjects in schools have contributed actively in giving the young in Vietnam necessary knowledge in order to become all-around developed people. It is necessary to mention one more issue that there is music and fine arts education at primary and secondary schools but not at high schools. As we all know that high school students are really active and in need of special attention of the schools and society in shaping their aesthetic tastes. In the past years, a number of arts education researchers have expressed their concerns about the aesthetic tastes of the young generation. Thanks to a great number of surveys, it is clearly seen that some values which are cultural identities of Vietnamese traditional culture are not respected and enjoyed by students, especially among ones in big cities. Whilst, they are interested in foreign musical works. Having researched on this issue, arts educators with their own viewpoints and perspective often point out and emphasize different causes. However, it is possible that all of them agree that there is the necessity and urgency of arts education for these students as well as the level and strategic direction of this task. 6. Up till now, National university of art education is about to celebrate its 40th anniversary of establishment. The school has focused in training teachers of music and teachers of fine arts. 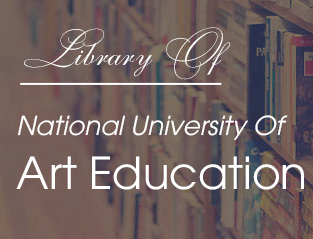 National university of art education is the most well- known and important teachers training institution of arts education in Vietnam for nearly four decades. Even so, via the surveys at locals and experiences of social development, we found that: to become all-around developed people, along with or instead of music and fine arts lessons, it is possible to carry out other forms of arts education because children are also really keen on and gifted with arts such as dancing, drama, and so on. Recently, to meet the great demand of the society and with the submission of Ministry of education and training, some other training majors have been conducted at national university of art education such as culture management, fashion design, Painting and Graphic design. This will be a promising beginning for the development of art education in Vietnam. Also, it has completed curriculum for some other art training majors to submit for Ministry's approval to be implemented in the future as dancing education, vocal education, musical instrument education( organ/guitar), and so on. The objectives of such training programs are to train qualified teachers not only for specialized high schools but pedagogical institutions at local and national levels as well. 7. One of the most important key task of arts education is making learners aware and love for identical values of traditional arts. By doing this, every Vietnamese person will be more aware of preserving and promoting/ developing the cultural values which are typical and confirm the existence of a nation in international cross- cultural integration. As the results of a number of surveyed by relevant offices and authorities showed that traditional cultural values do not attract Vietnamese people, especially the young. This is due to their lack of understanding and knowledge on traditional cultural values. For instance, the words or the lyrics of old folk songs are too difficult for young generation to understand. Taking all the things into account we suggest the solution that this problem cannot be overcome in a short-term but it requires a great deal of effort and with high-qualified- oriented strategy. It is certainly true that this is a must for the whole society because of the young and the future of the nation. 8. Arts education is an important task of education and training. If it is carried out effectively, this will make great contribution to improve the quality of education and training. Having certain achievements and experiences in arts education over the past decades as well as the guidance and support from the leaderships, responsibility and competence of arts educators and trainers, it is really hopeful to look forwards to the coming success in arts education in Vietnam.